Mayfield Fund was featured in a VatorNews article: "SplashX Precision Health: who are you targeting as the end customer?" 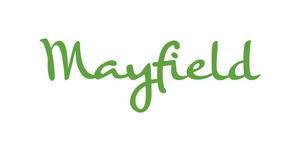 Mayfield Fund was featured in a VatorNews article: "The big niche: Start small, think big "
Mayfield Fund was featured in a VatorNews article: "SplashX - what effect will Amazon have on the healthcare system?" Mayfield Fund was featured in a VatorNews article: "At SplashX - How VCs define the future of clinics, and what gets them excited about it?" Mayfield Fund was featured in a VatorNews article: "Crunchbase raises $18M, launches new enterprise product"
Mayfield Fund was featured in a VatorNews article: "Mayfield raises $525 million for two new funds"
Mayfield Fund was featured in a VatorNews article: "Funding roundup - week ending 2/21/14"
Mayfield Fund was featured in a VatorNews article: "Resist the urge: Do not just game-wash your pitches"
Mayfield Fund was featured in a VatorNews article: "Late Night with Raj Kapoor: A look into the mind of VCs"
Mayfield Fund was featured in a VatorNews article: "7 Reasons Why You Can Do It"